A dead man in the kitchen, gas fumes permeate the house, a duck seems to be drowning in the fishbowl, but it didn't die. Maybe that fact has something to do with murder? John L. Witherspoon, a wealthy patrician, is loath to let his daughter marry Marvin Adams, the son of a convicted murderer, something Marvin's mother managed to keep a secret - until now. To set the love-struck lass straight, Witherspoon engages Perry Mason to weigh the 20-year-old evidence that sent Marvin's father to the gallows, and prove that the young man is kin to the murdering kind. Reopening the case, however, quickly opens up a can of worms. While Mason dredges the past for new clues, a blackmailer threatens to dredge up the whole sordid affair in the society pages. Then the whistle-blower is done in by a dose of deadly homemade gas, and the damning evidence points to chemistry whiz Marvin. Like father, like son? Like hell, says Mason, who sets out to bird-dog the clever killer who's trying to turn the young swan into a sitting duck. 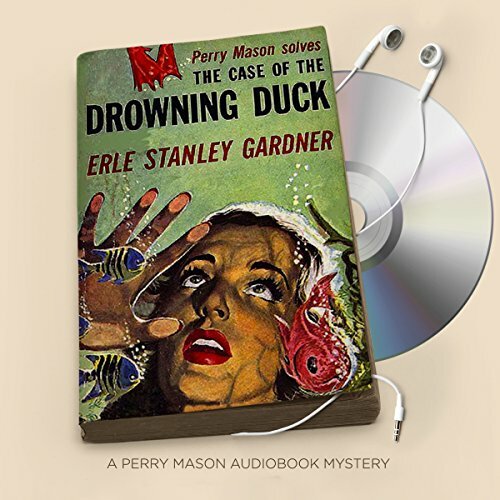 ©1942 Erle Stanley Gardner. Renewed 1970 by Erle Stanley Gardner. (P)2017 Brilliance Audio, all rights reserved.